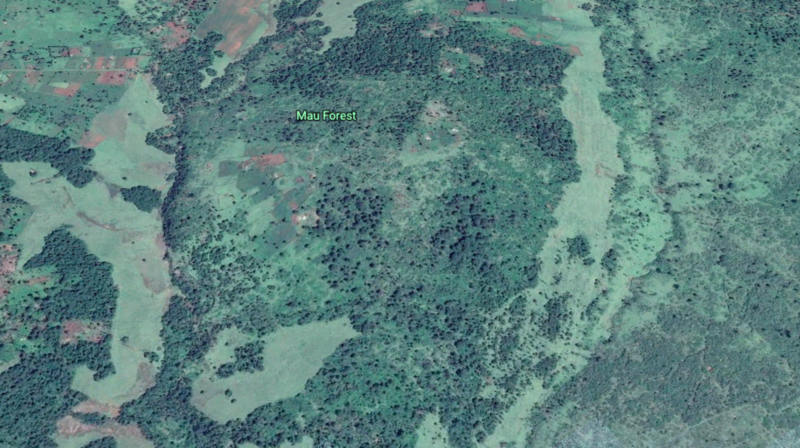 On International Day of Forests, what is the future of Kenya’s Mau Forest? 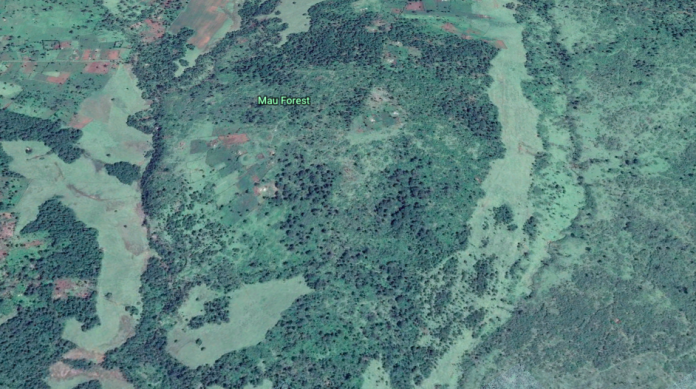 When observing an aerial image of Mau Forest, located in Kenya’s Rift Valley, the various shades of green are striking. From the thick, dark greens of the deep forest to the light sage tones where tree coverage has dwindled, the trail of human activity can be visually traced. This is the largest indigenous forest in Kenya and an area that has been at the centre of a decades-long debate surrounding the fate of its human inhabitants. With Kenya’s leaders and environmentalists claiming the forest is under threat from illegal logging and clearing, the most recent development has been the planned eviction of 10,000 of Mau Forest’s inhabitants. While hundreds have already been evicted, future evictions are on hold for now. “The PS Ministry of Environment has directed all forest officers to suspend any plans for forced eviction of people in protected areas until further deliberations are conducted,” the Chief Conservator of Forests, Monica Kalenda, wrote in January. Dr. Lawrence Salaon Esho, Chair of the Department of Spatial Planning and Design at the Technical University of Kenya, has lived on the border of Mau Forest his whole life and witnessed the dramatically changing landscape by his home. The reasons behind why this is worrying are manifold. Primarily, Mau Forest is a key water catchment area and the source of no less than 12 rivers flowing through Kenya. Several ecosystems in Kenya, including the Maasai Mara National Reserve, and in neighbouring Tanzania, depend on water originating from the complex. “The Maasai Mau and the Mau Complex are not just a Kenyan affair. It is a water catchment area and provides water for other countries. It is an asset that is transnational in character and nature,” Kenya’s Environment Cabinet Secretary Keriako Tobiko said in the report. However, over the last few decades, this has become increasingly under threat. With parts of the forest converted into ill-planned human settlements, alongside destructive logging practices, Mau Forest has experienced severe environmental degradation. Late last year, the Kenyan Water Towers Agency reported that land cover in the water towers was getting depleted due to the cutting of trees for firewood, charcoal, opening land for cultivation, forests and bush fires and excision of gazetted forests for human settlement. “Reduction in forest cover degrades critical water catchments leading to declining water flows from springs and rivers especially during the dry season and flooding in rainy conditions,” Isaac Kalua, the chairperson of KWTA said. This has been further aggravated by the complex dynamics of internal fighting and political tensions. As a result, resources, livelihoods, food security, tourism and water supplies all remain at risk as human existence clashes with the sustenance of Mau Forest. For thirty years, Esho has observed how the forest has diminished. He believes that there will be severe consequences if effective protection measures are not taken. “It won’t exist, it would be completely depleted,” he says. Within the ongoing debate, outside the environmental issue lies a human one. What happens to the people who have been living there for years and will be evicted with nowhere to go? For Esho, the answer to this problem lies outside the forest. “Giving people land is not the solution. Giving people jobs is the solution,” he says. This most recent debate surrounding the evictions coincides with the International Day of the Forests, a day the United Nations marks to raise awareness of the importance of forests. “Forests, their sustainable management and use of resources, including in fragile ecosystems, are key to combating climate change, and to contributing to the prosperity and well-being of current and future generations,” the UN states. And these facts are not lost on Kenyans, who have displayed notable support for conservation efforts in Mau Forest.